This blog post was authored by Jeff Woolslayer, Program Manager, Windows Server. Project “Honolulu” was announced in September and had a fantastic reception at Ignite. To all of you that have downloaded the Technical Preview and provided feedback via UserVoice, thank you. We’ve been reading your feedback closely and your input drove this update. Today, we are excited to announce that we are releasing the first public update to the Technical Preview. 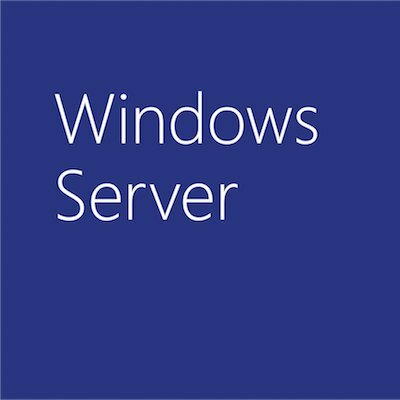 If you have not yet tried Project “Honolulu”, visit the Windows Server Evaluations page to download. Clicking this link will download a new installer for you to run to update your installation. There should be no need to uninstall the previous version of Honolulu. After the first release of the Technical Preview in September, our engineering focus was primarily on R&D, investing time to solve some technical issues to enable various scenarios, both short and long term. Lots of great progress was made, and some of the R&D investments are in fact included in our 1711 release! With the remote desktop tool in the Server Manager solution, you can connect to your machine to complete scenarios that are not yet supported natively in Honolulu. We built Honolulu to provide a rich, modern remote server GUI experience. However, if the feature you are managing has no GUI configuration at all, we want to provide the right tool for the right job. With the PowerShell tool, you can manage those features just as if you connected to the machine via PowerShell remoting. You can now add Windows 10 client machines as connections in Honolulu, and manage them with a subset of tools in the “Computer Management” Solution. This should feel familiar to folks that have been using the Computer Management snap-in (compmgmt.msc) for years. We have updated the grid in the Certificates and Events tools to a higher performing control which is able to handle large datasets without a loss in performance. In the next release this control will be updated across all tools. In the Events tool, the data is streamed in as it loads, which can lead to a shorter loading time than the in-box tool when working with channels that contain many events. After receiving feedback from our users, we decided to remove the following features from Honolulu for now. If you want to give feedback, feel free to post suggestions on our UserVoice. We have removed the ability to use LAPS when Project Honolulu is deployed on a server. You may still use LAPS when you install Honolulu on Windows 10. Honolulu no longer tries to connect to every connection you have added to your profile when you launch it. The connection test is performed only when you add an individual connection (i.e. when you add a single server, cluster, or PC) and when you initiate a connection (i.e. when you click on a server to manage with Server Manager). This prevents Honolulu from flooding your network when you have a large number of connections added to your profile or do a bulk import of servers from a .txt file. Download today and give us your feedback! If you haven’t already, download the Technical Preview of Project “Honolulu” and sign up for the Windows Insiders program so you can access the preview builds of Windows Server and Project “Honolulu”. You can also provide feedback via our UserVoice page.